"I am all about the anime. I wish I was joking, but I've read too many fanfics to deny it." Hello, internet friends. Gather 'round, because it's time to meet the Angry Reader of the Week, spotlighting you, the very special readers of this website. Over the years, I've been able to connect with a lot of cool folks, and this is a way of showing some appreciation and attention to the people who help make this blog what it is. This week's Angry Reader is Reera Yoo. I'm Reera Yoo, and I've been a loyal Angry Reader for over 10 years. My first name means “conqueror of the world” while my last name sounds like a pronoun, which has been pointed out to me by various people who all think they're very funny. 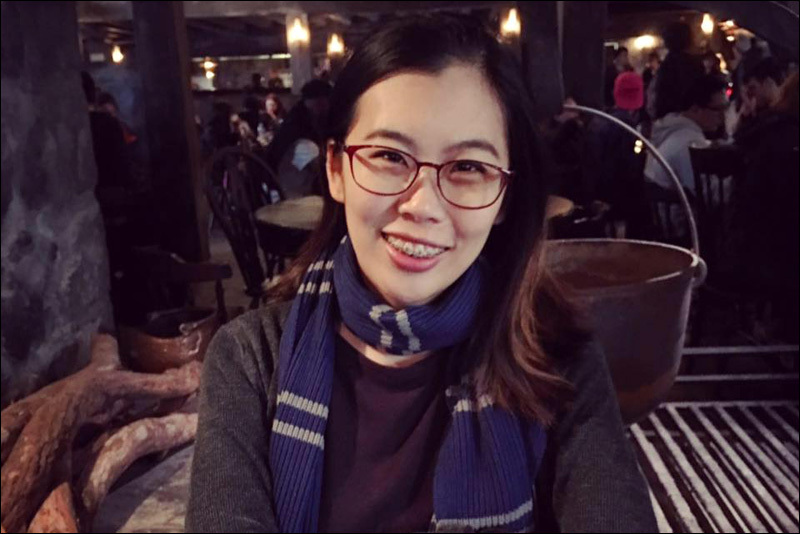 I am a Korean American immigrant, a writer, a bibliophile, and an all-round geek who watches way too much TV and plays too many strategy games. I'm currently in Pasadena, watching the 2017 World Figure Skating Championship performances and cheering for all the phenomenal Asian and Asian American skaters. I was born in Seoul, but raised in New Jersey and Georgia. I went to college in New York City to study screenwriting and producing. Moved to L.A. after graduation and never looked back. I mainly write articles focused on Asian Americans in arts and entertainment, but I also write scripts, short stories, and blog posts -- even when it's just for myself. My writing has been featured on NBC Asian America, KoreAm Journal, and YOMYOMF. I also host Books & Boba, a book club and podcast dedicated to books written by authors of Asian and Pacific Islander descent. My goal is to amplify Asian voices in literature and encourage people to read more diverse books outside their comfort zones. In addition, I'm currently producing an upcoming online women's talk show. I am all about the anime. I wish I was joking, but I've read too many fanfics to deny it. More seriously, I am all about storytelling and promoting the arts. Stories have the power to empower and enrich our lives. They teach us empathy, humility, and courage as well as broaden our horizons. It's a shame that the arts are often treated as expendable, which brings me to the next question. I am furious that the Trump administration's proposed budget eliminates the National Endowment for the Arts. It shows blatant disrespect for artists and educators, and it saddens me to think about how we are exposing fewer children to the arts when all children should have access to programs that allow them to foster their creativity. I also get angry whenever people trivialize or stigmatize mental illness, especially in the Asian American community. I get angry when Hollywood whitewashes Asian characters or appropriates Asian culture, when women are treated like a niche when we're literally half of the population, and when ignorant people try to force me to choose between my race and my gender. Heck, I even get angry when drivers don't turn their turn signals on. I have a lot of anger, but I try to use it as fuel to create dialogue, to make art, and to just make the world a little more tolerable.